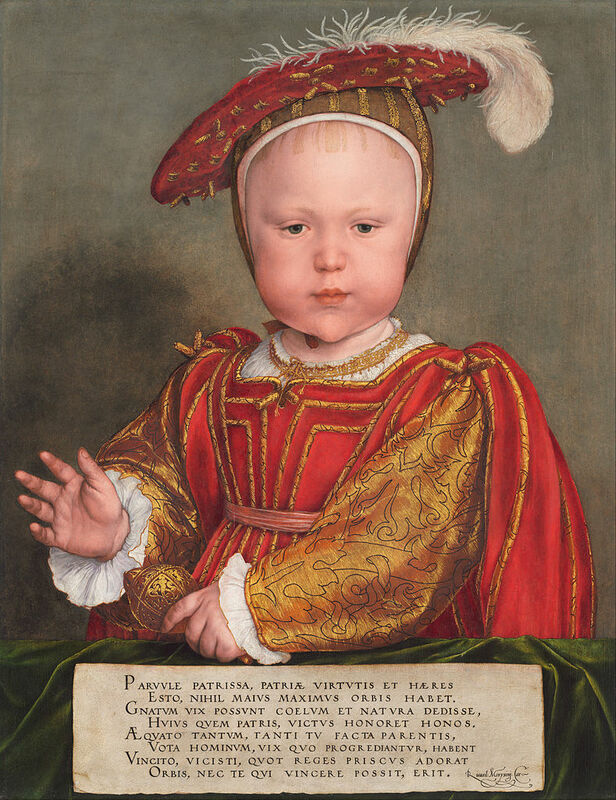 On the 15th of October 1537, three days after he was born, Prince Edward was christened at the royal chapel of Hampton Court Palace. His eldest sister, Lady Mary Tudor, stood as his godmother with the Archbishop of Canterbury, Thomas Cranmer, performing the ceremony. And she wasn’t the only one dressed for the occasion. Despite the outbreak of the plague, between three and four hundred clerics, nobles and foreign envoys had come to witness the baptism of the new Tudor Prince. Among the nobles present, was none other than his second eldest sister, the Lady Elizabeth Tudor who was carried by her new step-uncle, Edward Seymour who was created Earl of Hertford on that day. Following them was the Marchioness of Exeter carrying the little prince, assisted by her husband and the Duke of Suffolk. The prince was “dressed in a great robe with a long train borne by Lord William Howard” and Norton adds: “over the prince’s head, a canopy was held by a number of gentlemen, including Thomas Seymour”. As was customary, Jane wasn’t present for her son’s christening. 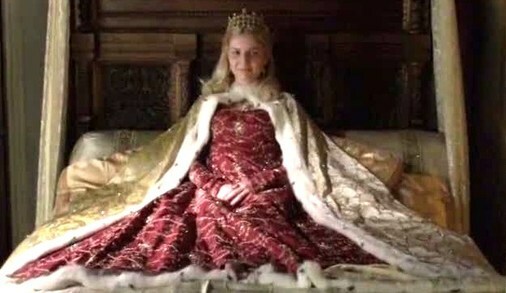 Instead, she waited in the Queen’s chamber and watched from her window the procession go by. As the ceremony finished, the heralds cried out: “Edward, son and heir to the King of England, Duke of Cornwall, and Earl of Chester” and afterwards the procession turned to the Queen’s apartments where he was welcomed back into his mother’s back. Henry was with her, and the two of them gave him their blessing before he was taken back to his room. Despite being tired, Jane continued to be part of the celebrations and she was helped back to her bed after these were done. It is hard to know what was running through Jane’s mind, being that Jane is a mysterious and often elusive figure, but the times she made her voice heard, and even her silence alone, reveals as Chapuys once said of her “a woman of great understanding” and one who must have felt deeply proud and accomplished. She had succeeded where her predecessors and previous mistresses had failed. Sadly, she would not live long enough to reap the benefits. Jane would die nine days later as a result of childbed fever. And in death, she would become Henry’s favorite because of what she gave him: a son. And although the great monuments that Henry had planned for both of them never came to be, she would be remembered through the eulogies and poems made after her funeral, and her son would go on to become the first true Protestant King, and also the last Tudor (male) monarch.